Popular messaging client BeejiveIM arrived on Android a couple weeks back, bringing its award winning all-in-one support to your favorite mobile OS. Yeah, we know we missed the boat on launch day but we felt obligated to share the news – should you not already know about it. For those unfamiliar, BeejiveIM supports many popular chat/messaging services (AIM/iChat/MobileMe, MSN/Windows Live, Yahoo!, Facebook, MySpace, GoogleTalk, ICQ, & Jabber!) and comes with a 30 day trial. The app is chock full of features, some of which are listed after the break. 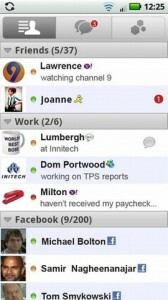 Reliable connectivity: Stay connected to all of your instant messaging buddies on all of your IM accounts, anywhere you go. With always-on efficient networking and desktop-quality instant messaging, your instant messaging experience is seamless and reliable. BeejiveIM even automatically reconnects in case of data service disruption, including phone calls and loss of cell coverage. You can be connected 24/7—and still be gentle on your battery. Your choice of clients: With BeejiveIM, there are no limitations to which clients you can use since Beejive supports all major IM platforms. Great cost-savings: Not only is instant messaging a much richer experience than texting, it is also much more cost-effective. BeejiveIM uses your existing data plan; there are no SMS charges. Plus, BeejiveIM lets you see who is available at that very moment, meaning you not only won’t waste money texting, you won’t waste time waiting around for a response from someone who isn’t even there. You can also send SMS messages through BeejiveIM with no charge at all. Photo and video transfer: Transfer photos and videos directly within the body of your IM, bringing you both high photo quality and great ease of use. True personalization: With BeejiveIM, you can easily manage your buddy list, including adding/removing nicknames, groups and blocking. You can set custom status messages, be invisible, set an auto away status and change your privacy settings. BeejiveIM also has the complete look and feel of native Android apps, offering you the Android’s great degree of customizability in look and feel so that you can seamlessly integrate instant messaging into your overall Android experience. Voice notes: Truly personalize your IM experience by adding voice to the equation via a smooth, direct transfer. This is also great for IMing while on the go. 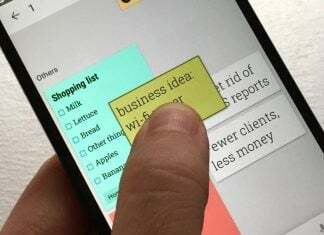 Push ready: The application takes advantage of Google’s Cloud to Device Messaging Framework, currently in beta under Google Labs. If you have an Android 2.1 (or higher) device, be sure to check out the 30 day trial of BeejiveIM. Head to www.beejive.com/android from your Android smartphone and follow the instructions.